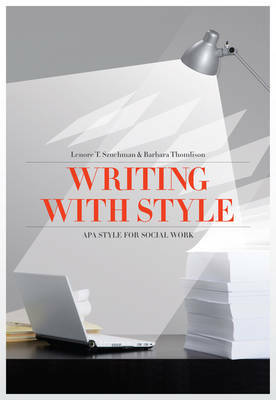 WRITING WITH STYLE: APA STYLE FOR SOCIAL WORK, Fourth Edition, applies a proven 'learning through modeling' approach to help students master the elements of writing research papers and other professional documents in APA style. In addition to reviewing APA style basics, the text includes numerous writing exercises to help students apply what they learn and hone their skills by practicing writing professional literature. Further support is provided through resources such as sample outlines, title pages, abstracts, and numerous templates included throughout the text as references.